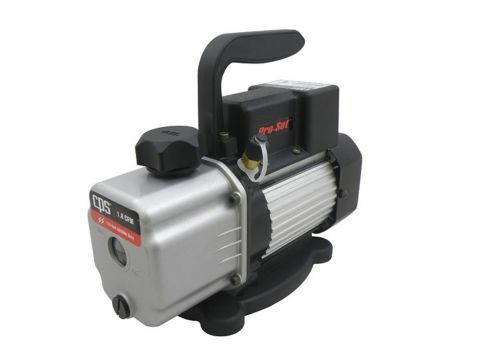 VPC2SE | Pro-Set® Compact 2 CFM Single-Stage Vacuum Pump - CPS Products Inc. 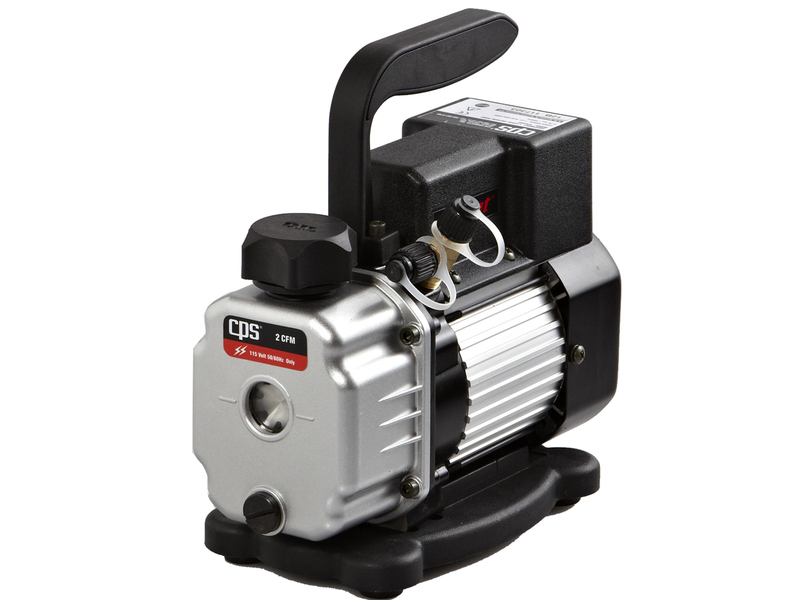 The VPC2SE Premium Compact series of Pro-Set® vacuum pumps incorporate the perfect balance of professional grade performance features in an extremely portable, lightweight package. This innovative 2 CFM, single stage unit is factory tested and certified to achieve an ultimate vacuum rating as low as 100 microns and weighs only 9.3 lb / 4.2 kg. Big performance in a small package, the VPC2SE provides fast, deep vacuums without weighing you down.